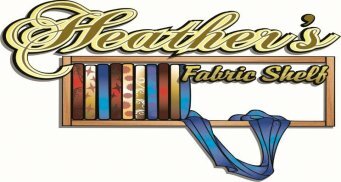 Heather and Bill are Authorized APQS Retailers! See below for a list of machines and contact us if you have any questions. Need your APQS machine serviced? Call Bill! He is the ONLY Factory Certified Technician in BC! 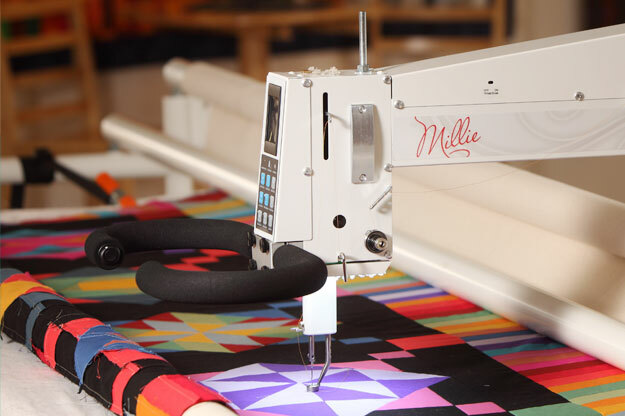 Throat size: 30" x 10 1/2"
Throat size: 26" x 10.5"
Combining innovation and engineering with timeless design, the Millennium defines the high-end longarm quilting machine market. 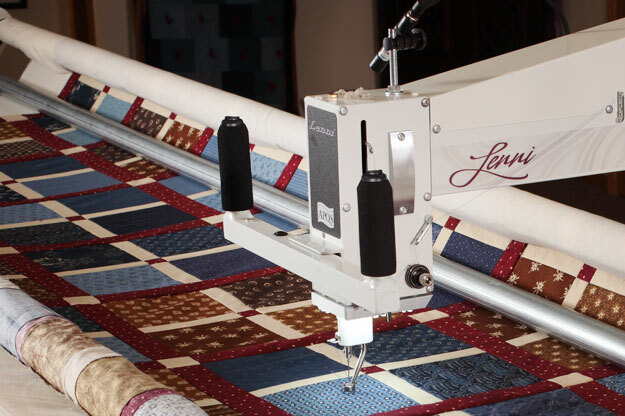 By embracing technology and blending it with the traditional skills of master craftspeople, we are able to produce this timeless, treasured longarm machine that will bring you a lifetime of quilting enjoyment. 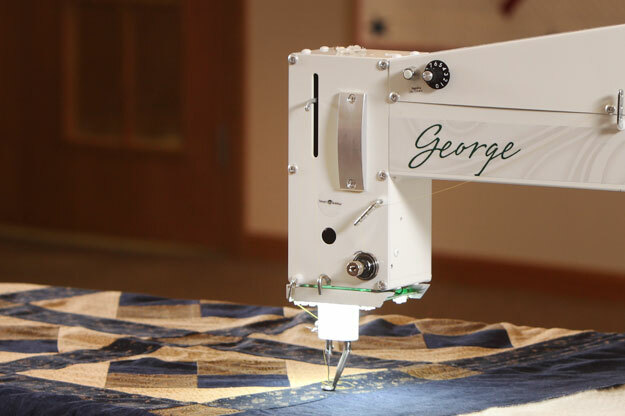 The simple, easy-to-use controls combined with its lightweight handling make Freedom the perfect quilting machine for homes, quilt studios or commercial quilt shops. 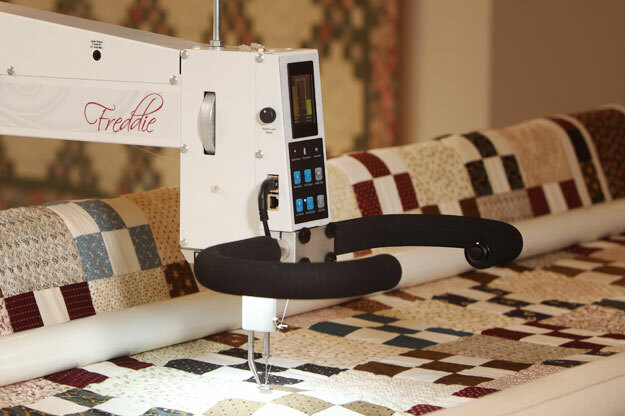 Freddie is a high quality, technology-filled machine that will bring you a lifetime of quilting enjoyment. 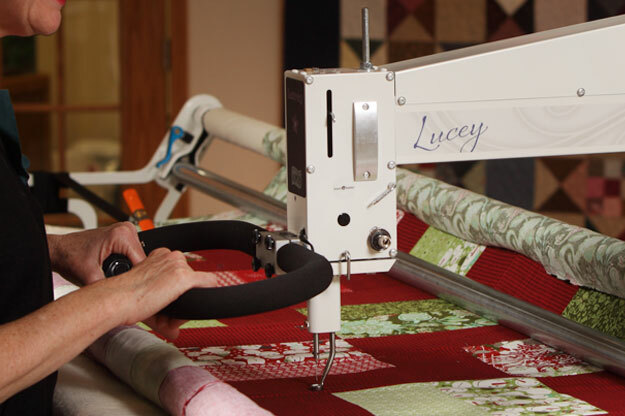 When you quilt with Lucey, you’ll quickly understand why APQS quilting machines are known for being easy to use and simple to operate. Everything is designed, engineered and crafted to be approachable, inviting and simple to use. Lucey offers the quality and performance quilters expect from APQS at an economical price - making it an exceptional value. Throat size: 20" x 8"
With Lenni, we have transferred our Millennium know-how to a smaller quilting machine. It is the essence of APQS in its simplest, purest form – a fun and affordable longarm. Everything is designed, engineered and crafted to be approachable, inviting and simple to use.